One of the greatest fighters in the history of mixed martial arts, a former UFC Welterweight and Middleweight champion, Georges St-Pierre, officially retired from the sport last week. St-Pierre remains known as one of the rare fighters who retired on top. Many members of the MMA community paid tribute to “GSP” (except Nick Diaz of course). Michael Bisping has all the rights to be angry at Georges. The French-Canadian superstar took his UFC 185-pound title in the main event of UFC 217, on November 4, 2017. 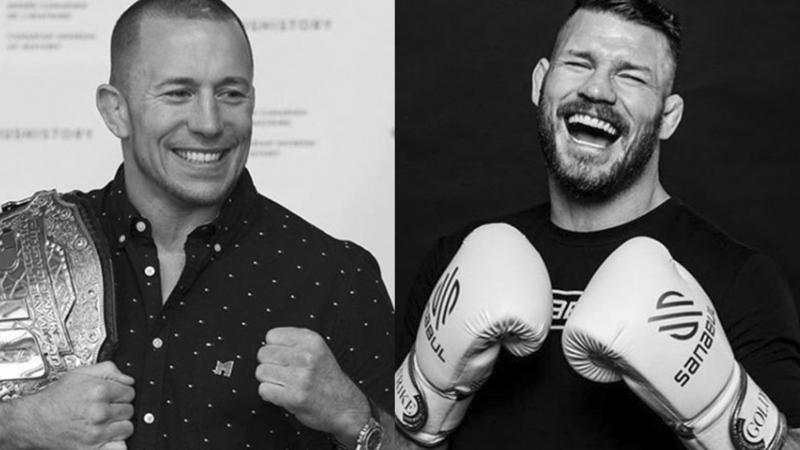 Michael Bisping also joked, claiming “his injuries” gave Georges St-Pierre an unfair advantage in their fight. But Michael Bisping has nothing but the greatest level of respect for Georges St-Pierre. The British legend even says St-Pierre is a role model for young fighters to follow. Do you think Georges St-Pierre is a perfect example young fighters should emulate? Previous articleJon Jones Claims The Last Five Years Of His Life Made Him Stronger!